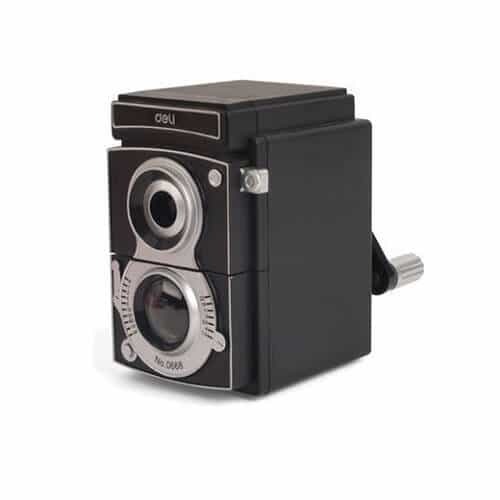 The retro pencil sharpener looks just like the classic twin-lens reflex camera. 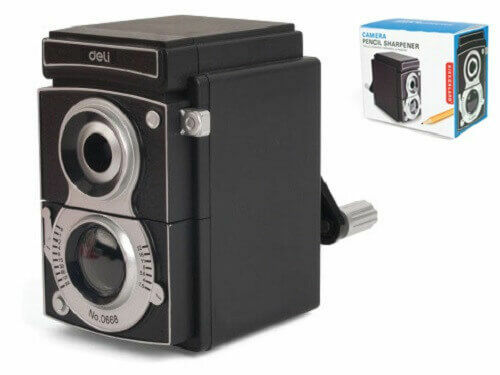 With this retro Camera Pencil Sharpener on the desk, photography enthusiasts can have the best of both worlds. Turn the knob to sharpen the tips, and make use of the integrated pull out tray to dump the shavings. 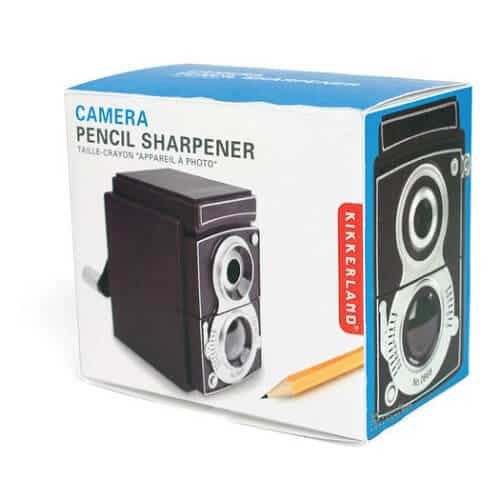 The Kikkerland Camera Pencil Sharpener is a manual sharpener that looks like the classic twin-lens reflex camera. 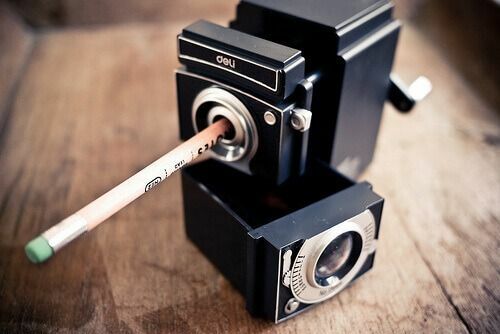 Don’t be fooled, it’s not of a real camera, but a plastic pencil sharpener. 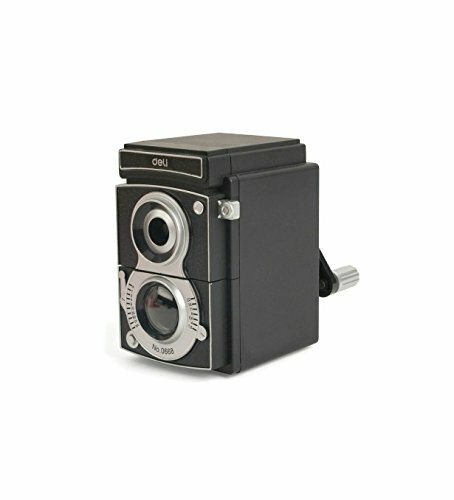 Yet, fans of vintage cameras and photography enthusiasts will probably want love to get hold of one of this. 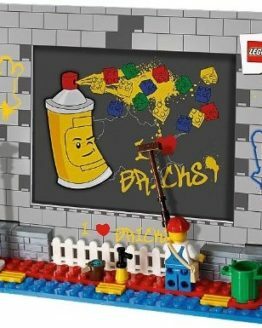 They can enjoy its similarity with a camera and have fun while sharpening pencils. 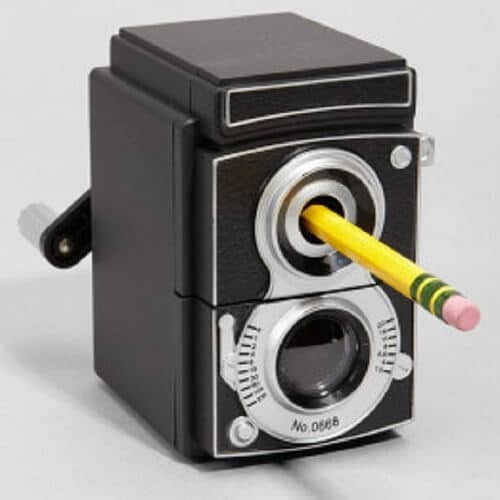 In fact, anyone can amaze and amuse their co-workers and friends with this clever Camera Pencil Sharpener on their desks. 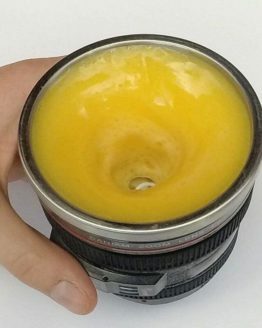 The adjustable sharpness knob allows you to control the shape of the cone. 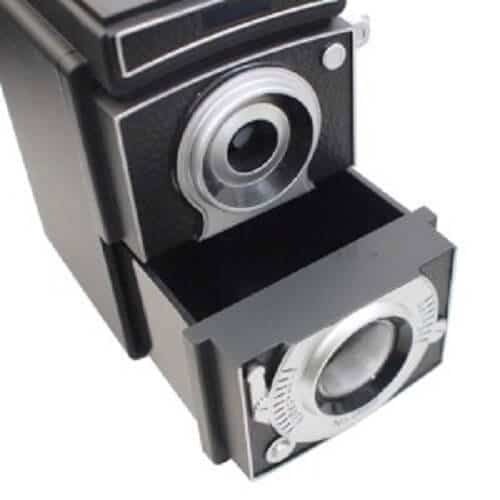 This ingenious idea makes the retro pencil sharpener adjustable to fit the widths of most pencils. 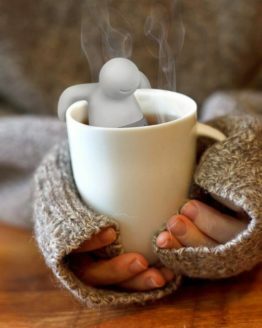 Its compact size (4 x 4.5 x 2.75 inches) will occupy little space on your desk, which means that you can have it at an arm’s length, if you need to use it frequently, but at the same time you won’t feel that it’s in your way. Because it is so light (only 7 ounces) you won’t even notice when you pick it up to throw out the shavings from the shavings pull-out tray with which the sharpener is equipped. 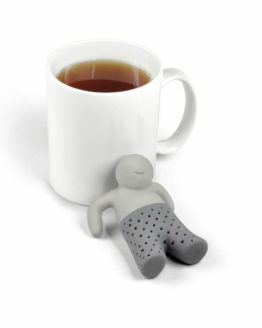 It will only take a few moments to empty the tray and use the sharpener again. And thanks to the special lens, you can sneak peek into to see if you need to get rid of the shavings or not. The sharpener is great for those who prefer to sharpen pencils manually – it actually does the job very well and very fast. 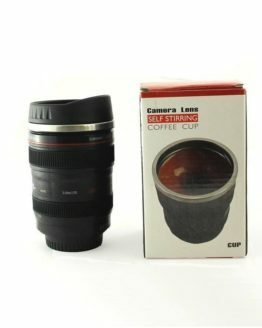 Thanks to its unique camera design, adjustable sharpness knob, great price and features, it will make a great gift. 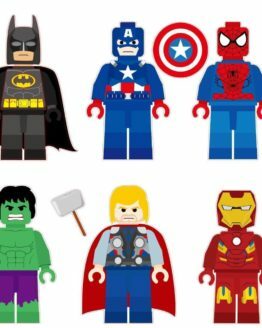 Available at Amazon.com, Kikkerland, and eBay.